Tamarinds are slow-growing, long-lived, evergreen trees which have 3 - 8 inch long, brown, irregularly curved pods in abundance along the new branches. As the pods mature, they fill out somewhat and the juicy, acidulous pulp turns brown or reddish-brown. When fully ripe, the shells are brittle and easily broken. The pulp dehydrates to a sticky paste enclosed by a few coarse stands of fiber .The pods contains flat, glossy brown, obovate seeds embedded in the brown, edible pulp. 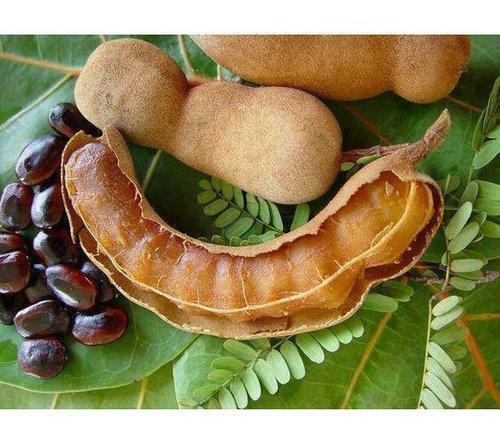 Tamarind, the very mention of whichs name makes our mouth watery is a fruit pod produced by a tall semi-evergreen tropical tree, having its origin in Eastern Africa and now extensively found also in India. As the pods mature, they fill out somewhat and the juicy, acidulous pulp turns brown or reddish-brown. When fully ripe, the shells are brittle and easily broken. The pulp dehydrates to a sticky paste enclosed by a few coarse stands of fiber. The pods contains from large, flat, glossy brown, obovate seeds embedded in the brown, edible pulp. The pulp has a pleasing sweet/sour flavor and is high in both acid and sugar. Tamarind is generally used in India as paste or pulp in addition to its being a main constituent in our daily food preparations. India holds the credit of chief producer of this crop. This extremely sour fruit is available in whole pods, compressed blocks, paste or concentrate. It is used as a base for spicy and sometimes sweet sauces. It is often the main ingredient in juices, soups, chatnis and bean dishes. The harvesting season for Tamarind is form January to April and its major producing Centers in India are Maharashtra, Karnataka, Andhra Pradesh, and Tamil Nadu. We supply Seedless Tamarind in rectangular compressed slabs of various sizes on basis of its weight of the slab. The standard consumer slabs are of 125 Gms , 200 Gms. , 500 Gms. & 1 Kg. Commercially the qualities are differentiated on the basis of % of seed content in it. Accordingly the different qualities of Tamarind which can be supplied are Tamarind with Max 5 % Seeds (i.e. 95% Seedless), Tamarind With Max 10% Seeds ( 90% Seedless) and Tamarind With Max 35-40% Seeds. For making the tamarind slabs the tamarind fruit is first weighed on electrical scales according to the desired weight of the slab and the same put in specially prepared dies and are pressed to form a compressed tamarind slab. These slabs are wrapped in plastic wrappers with printed labels as per buyers required placed on one side of the slab. These slabs are further packed in Export worthy Cartons of 10 K or 20 KG as per client requirement. 1 Kg Slab x 20 Packets = 20 Kg In A Master Carton. 500 Gms. Slab x 40 Packets = 20 Kg In A Master Carton. 500 Gms. Slab x 20 Packets = 10 Kg In A Master Carton. 200 Gms. Slab x 50 Packets = 10 Kg In A Master Carton. 500 Gms. Slab x 40 Packets = 8 Kg In A Master Carton. We also supply Tamarind with various Seed % in bulk packing of 20 Kg in Slab Form packed in cartons as well as in 25 Kg Loose packed in PP Bags. We supply Seedless Tamarind in rectangular compressed slabs of various sizes on basis of its weight of the slab. The standard consumer slabs are of 125 Gms , 200 Gms. , 500 Gms. 1 Kg. Commercially the qualities are differentiated on the basis of % of seed content in it. 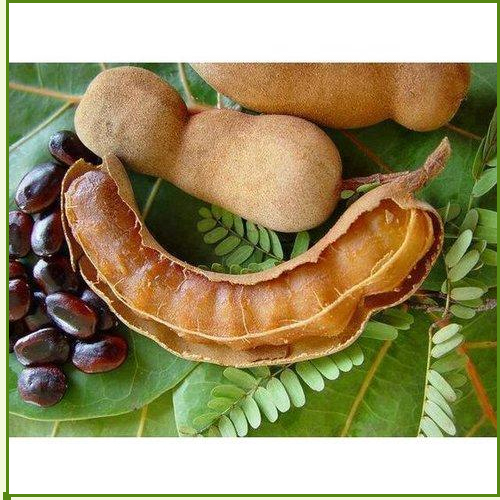 Accordingly the different qualities of Tamarind which can be supplied are Tamarind with Max 5 % Seeds (i.e. 95% Seedless), Tamarind With Max 10% Seeds ( 90% Seedless) and Tamarind With Max 35-40% Seeds. For making the tamarind slabs the tamarind fruit is first weighed on electrical scales according to the desired weight of the slab and the same put in specially prepared dies and are pressed to form a compressed tamarind slab. These slabs are wrapped in plastic wrappers with printed labels as per buyers required placed on one side of the slab. These slabs are further packed in Export worthy Cartons of 10 K or 20 KG as per client requirement. 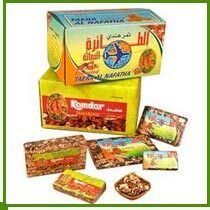 Standard Packing The various packings which can be offered in consumer slabs are as follows:-1 Kg Slab x 20 Packets = 20 Kg In A Master Carton.500 Gms. Slab x 40 Packets = 20 Kg In A Master Carton.500 Gms. Slab x 20 Packets = 10 Kg In A Master Carton.200 Gms. Slab x 50 Packets = 10 Kg In A Master Carton.500 Gms. Slab x 40 Packets = 8 Kg In A Master Carton.Quantity Stuffed in FCL20 FCL 22.500 M.Tons for Tamarind Slabs packed in 1 Kg 500 Gm20 FCL 21.500 M.Tons for Tamarind Slabs packed in 200 GmTamarind In Bulk PackingWe also supply Tamarind with various Seed % in bulk packing of 20 Kg in Slab Form packed in cartons as well as in 25 Kg Loose packed in PP Bags. Dried Tamarind Consumer Slab Packing We supply Seedless Tamarind in rectangular compressed slabs of various sizes on basis of its weight of the slab. Commercially the qualities are differentiated on the basis of % of seed content in it. Tamarind With Max 35-40% Seeds. For making the tamarind slabs the tamarind fruit is first weighed on electrical scales according to the desired weight of the slab and the same put in specially prepared dies and are pressed to form a compressed tamarind slab. These slabs are wrapped in plastic wrappers with printed labels as per buyers required to place on one side of the slab. These slabs are further packed in Export worthy Cartons of 10 K or 20 KG as per client requirement. Quantity Stuffed in FCL20 FCL 18 to 22 M.